Rebecca elaborates on the benefits of the co-design approach for improving cycling infrastructure. This involved talking to people on the street about their views on the issue. Something that became apparent was that opinions were quite extreme - with people either being very for or very against cycling. Rebecca considers there are four stakeholder groups in any community - residents, commercial interests, commuters and the council. Developing infrastructure for cycling must involve bringing these groups to discuss the existing conditions and what could happen. Rebecca believes that transparency and community engagement is key to developing new infrastructure because decision makers need to understand the needs of locals, for example how nodes such as kindergartens and shops are used. An example of this being done poorly was a separated bike route with bollards that was put in Glenroy to the anger of local residents who tore down the bollards and forced the removal of the route, at great cost to council. Some participants commented on other resources that might be relevant, such as Austroads’ Local Area Traffic Management guides and Vicroads’ Cycling Notes. Rebecca had been in discussion with some people regarding running codesigning workshops with councils to achieve buy-in from residents and use their knowledge. Ideally this would involve useful information being put online in an accessible format, including updates on progress, to give people the information they need to get involved and provide feedback. There was some great to-and-fro between Rebecca and participants, who were able to provide their perspectives on working on creating change for bike infrastructure, and also seek further information on the type of work and conversations she had been having. 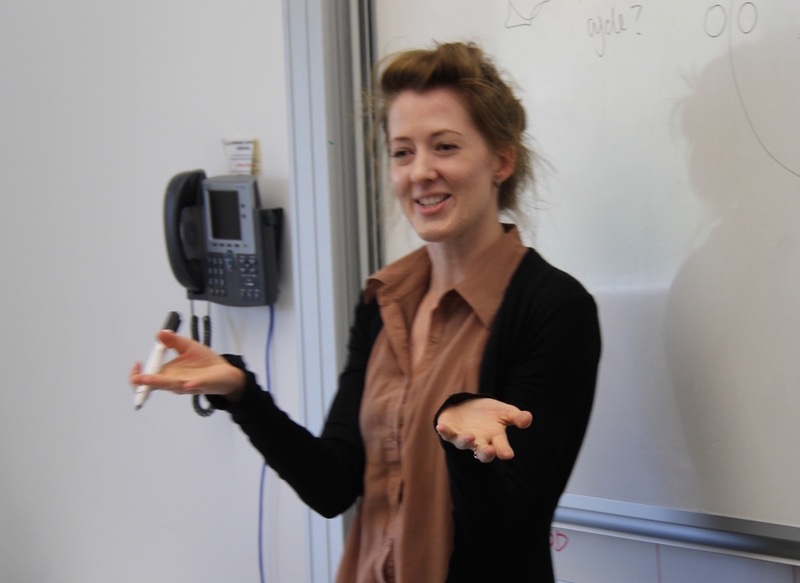 Rebecca conceded that it was difficult to reach some people that might be opponents of change, such as traders unhappy at the removal of car parking, and that the best way to approach this might be to embed change within a continual and iterative process in the long term, which would reduce the risk of changes being reversed, such as in the Glenroy example. One barrier raised was the fact that government such as councils are quite risk averse when it comes to trying new things because of the potential for backlash if something went wrong. A way to overcome this would be to look at examples of successful implementation of similar measures in other places, and getting this information across in an easily digestible and accessible format, such as compelling visuals. There were a lot of opinions offered, from a range of experiences. Many participants had experienced attempting to help make change happen or had been part of processes such as council working groups and were able to offer their perspectives on various barriers to getting things done and how these could be overcome. Having strong champions in position of influence or power was identified as an important attribute in sparking the process of change and overcoming inertia and risk aversion. Visionary and strong-willed leaders such as Jackie Fristacky and Janette Sadik-Khan.